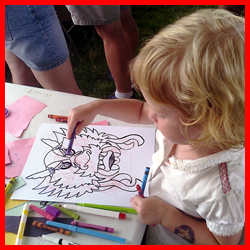 The Colorado Dragon Boat Festival is celebrated annually at Sloan’s Lake in Denver Colorado. This mid-summer event is an invitation to discover the rich heritage of Asian American culture. With amazing entertainment, Asian food and diverse cuisine, wonderful arts and craft vendors, and of course Dragon Boat racing – this is one of Denver’s classic festivals. Tags: Asian Festival Denver, Colorado Dragon Boat Festival, Denver Colorado Asian Festival, Denver Dragon Boat Event, Dragon Boat Celebration, Dragon Boat Fest, Dragon Boat Festival, Dragon Boats Denver, Edgewater Childrens Festival, Family Events Denver CO, July Festival Denver, Sloans Lake Celebration Denver, Sloans Lake Denver CO, Sloans Lake Festival Denver, Things to do in Denver CO with Kids, When is the Dragon Boat Festival?, Where is the Dragon Boat Festival?